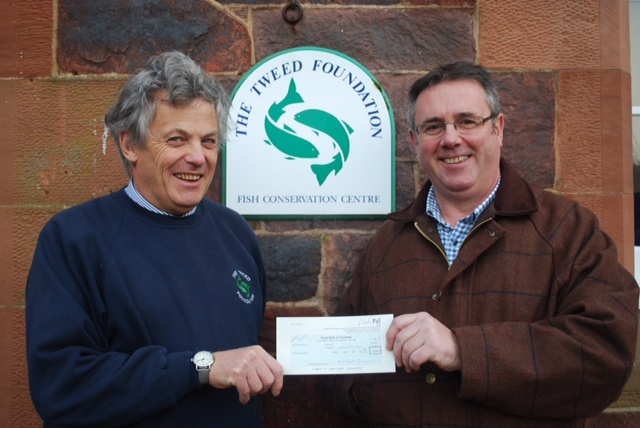 We were were delighted to hand a cheque for just over £3,000 to Nick Yonge, Director at the Tweed Foundation, which is money raised from anglers’ donations when making a booking on the FishTweed site. Equally, the office has been sending cheques to river boards across the country from donations made by anglers fishing their rivers. River Trusts and their boards do a fantastic job supporting their local rivers and at a time when funding is being cut it is great to be able to help out through the FishPal group of sites with angler donations. Thank you to all who continue to donate to your favourite rivers when booking fishing through our sites – much appreciated.